The last time we were out west in South Dakota, we went to see Mount Rushmore up close and personal. We entered the monument and walked around the base. I vaguely remember hearing about another monument called Crazy Horse while we were out west, but we didn't see that during our time in SD. Earlier this summer, my grandparents went out to the Black Hills and came home with a book from the Crazy Horse Memorial. I read it from front to back in a day. The story inspired me; the story of a man who agreed to dedicate his life to carving a mountain to honor the Native American people who hold the Black Hills so sacred to them. The sculptor, Korczak, turned down government funding twice, believing in the free enterprise system. He wanted the mountain to be carved with funds from those who visited, appreciated and wanted to support the cause of the memorial. Not by tax payer funds. Lots of people go to see Crazy Horse and seem disappointed because there's not as much to see on the mountain as Mount Rushmore. The thing is, it's only the beginning! Korczak worked for over 40 years on the mountain, by himself. When his children got old enough to help, they did. But there were not work crews during the formative years on the mountain. Since his death in the 80's, his wife and children have taken over running the construction of the memorial and have made big progress with the help of work crews and more sophisticated equipment. Still, the memorial is decades away from being complete. 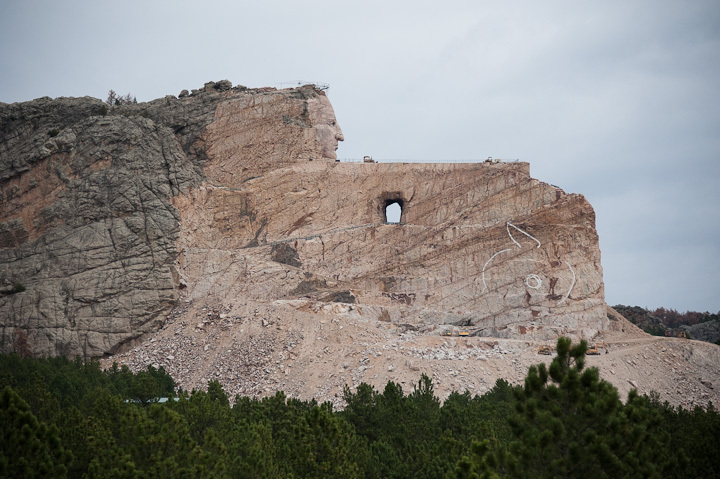 When completed, all four heads from Mount Rushmore will be able to fit inside Crazy Horse's head and hair. That's how much bigger it is than Mount Rushmore. Pretty amazing, isn't it? Both mountains are amazing to see and worth the trip. But each is great for different reasons. 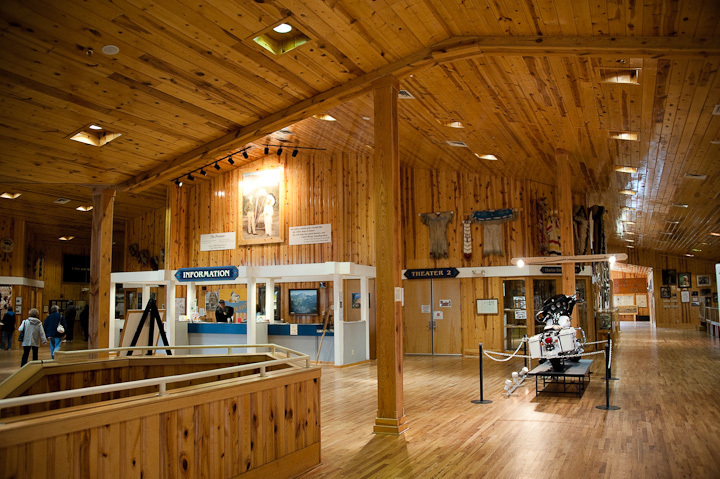 Crazy Horse also had a huge visitors center and museum inside for people to visit. There were tons of Native American artifacts inside the museum. 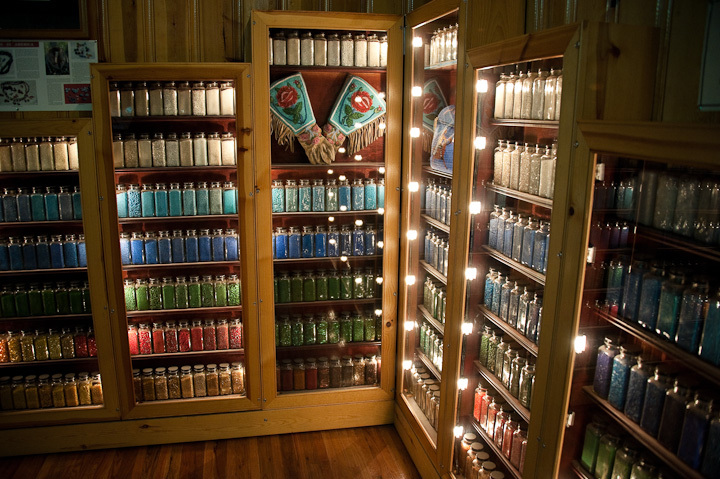 There's a huge gift shop and restaurant on site too. I hope to come back when I'm 80 years old and see the mountain almost complete. Note, see the two teeny, tiny, itty bitty little machines that are on the outstretched length of his arm? Those are big caterpillars, huge machines! They look like pin pricks compared to the size of Crazy Horse's face and the mountain in general. The white statue below is a 1/34th sized replica of what the finished memorial will look like. The photo doesn't really grasp the side of the white sculpture, but let's just say I felt like a little ant looking up at it, and it's only 1/34th the size of the entire monument. 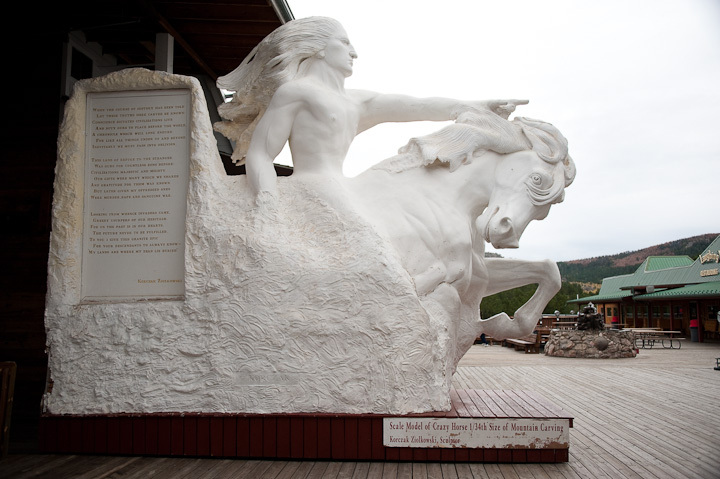 If you are out west, I think it's well worth your time to go see the Crazy Horse Memorial. Make sure to watch the 20 minute video in the visitor center first. It talks about how the idea for the memorial came to be and how Korczak ended up out west. The sound of the dynamite blasts as the mountain carving went on will stay with you.